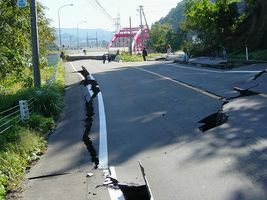 1 Caption: An earthquake damaged this road and bridge in Japan in 2004. 2 The third grade class had a special visitor last Friday. Dr. Adams came to tell the students about earthquakes. He is a seismologist. That means he studies earthquakes. 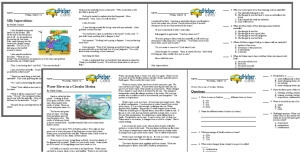 3 Mrs. Dill told us to think of a lot of questions. We could ask Dr. Adams for answers. I made a list for Dr. Adams. It was long. Guess what? He knew all the answers!